When it comes to foundation repair serving San Antonio , it is important to understand when your problems are cosmetic and when they are structural. Looking at your concrete with a trained eye can allow you to seek the repairs you need in a timely fashion and preserve the structural integrity of your home. 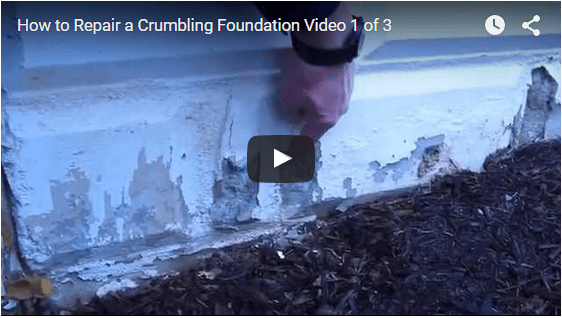 Watch this video clip for a quick look at the process of examining a crumbling foundation. If you notice that the foundation of your home is not looking as clean and neat as it used to, your first instinct might be to panic. It is wise to take a closer look, however, and decide how serious the damage is. Crumbling flakes of paint and concrete are not good signs, but they do not necessarily indicate an emergency.